Mass on March 27th – On Monday, March 27th at 4:00 PM, Fr. Zendejas will offer Mass at St. Dominic’s Chapel. It is the day after the special feast of Laetare Sunday. After Mass there will be a potluck. Please join us! 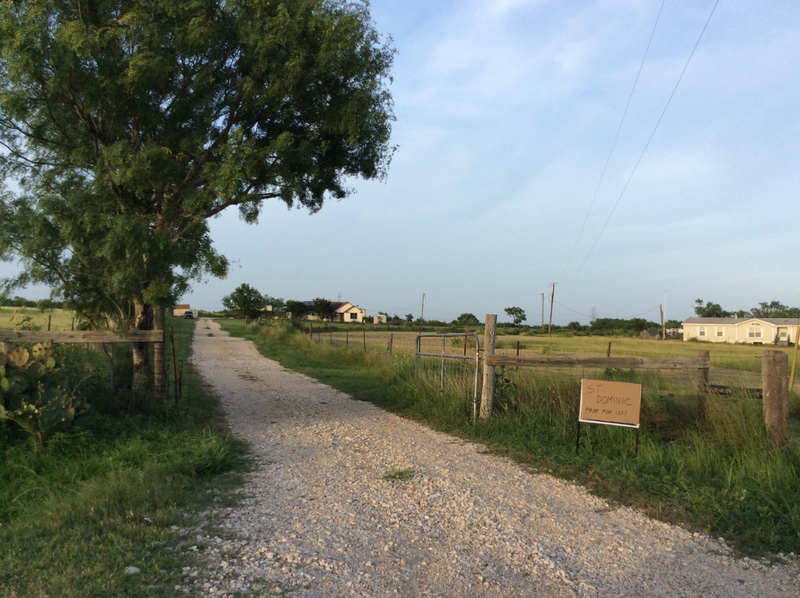 Holy Week at Stella Maris Chapel – Bishop Williamson will be celebrating Holy Week Liturgy at Stella Maris Chapel (La Marque, TX, outside Houston) starting on April 13th. On Holy Thursday at 7:00 AM, Bishop Williamson will begin the Holy Week Liturgy by offering a Chrismal Mass, a rare Mass that requires a bishop. During this Mass, a bishop confects holy oils, including Holy Chrism, Oil of the Sick and Oil of the Catechumens. These holy oils are used in various sacraments, including Baptism, Confirmation, and Extreme Unction. The Bishop will be at Stella Maris through Easter Sunday. For more information, contact Matthew (matthew@cathinfo.com). This entry was posted in austin, bishop williamson, bulletin, Catholic Churches, chapel, church, fr. Zendejas, houston, independent chapel, san antonio, San Antonio chapel, stella maris, texas and tagged 1962 Missal, Austin, bishop faure, bishop williamson, bulletin, Catholic church, catholic churches, chapel, church, churches, fr. zendejas, history, houston, independent chapel, latin mass, San Antonio, Seguin, texas, traditional, Traditional Latin Mass, Vatican 2 Resistance on March 21, 2017 by sudoku-for-android. Benediction Next Week – Next Sunday (Jan. 17) is the 3rd Sunday of the month, so we will have Benediction after Mass. Blessed Chalk – We have blessed chalk (for the Epiphany doorway blessing) in the back of the chapel. Catholic Faith Fact – What are the traditional names of the Three Wise Men who offered gifts of Gold, Frankincense and Myrrh to the baby Jesus, which we celebrate on Epiphany? 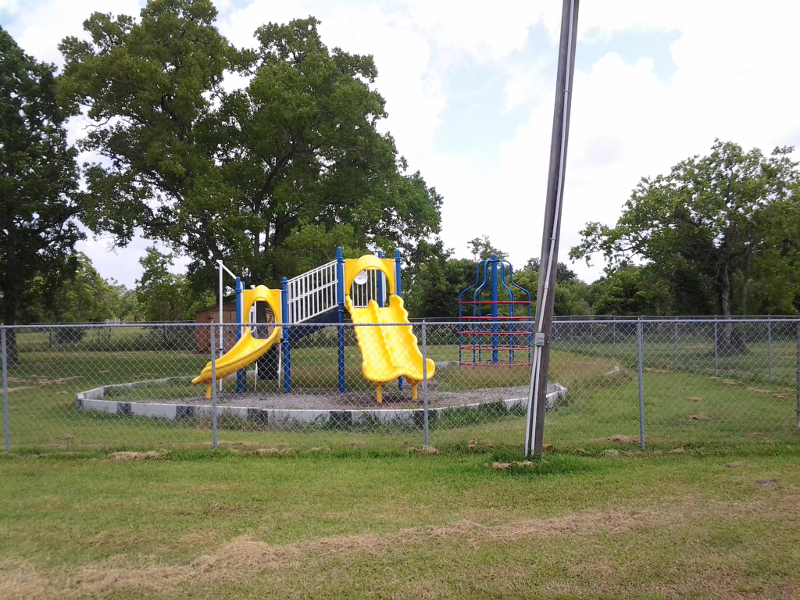 This entry was posted in austin, bulletin, Catholic Churches, chapel, church, fr. Zendejas, houston, san antonio, San Antonio chapel, texas and tagged 1962 Missal, benediction, bulletin, Catholic church, catholic churches, chapel, churches, fr. zendejas, houston, independent chapel, latin mass, San Antonio, Seguin, texas, Traditional Latin Mass, tridentine mass, Vatican 2 Resistance on January 6, 2016 by sudoku-for-android. High Mass and Potluck – It being the 1st Sunday of the month, we will have a High Mass today. We will also have our monthly potluck after the Mass. Catechism Resumes – Catechism Classes will resume today, Jan 3rd. This entry was posted in austin, blessing, bulletin, Catholic Churches, chapel, church, fr. Zendejas, houston, san antonio, San Antonio chapel, texas and tagged 1962 Missal, bulletin, Catholic church, catholic churches, chapel, churches, fr. 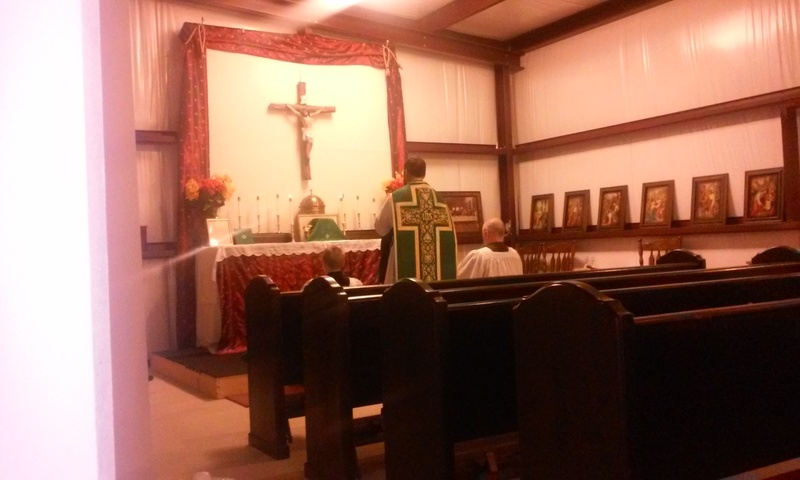 zendejas, High Mass, houston, independent chapel, latin mass, San Antonio, Seguin, texas, Vatican 2 Resistance on January 1, 2016 by sudoku-for-android. Christ-Mass today – On Christmas Day we will have Mass at 1:00 PM. Traditional Catholics are welcome to eat meat because of the Holy Day, but the day before (Christmas Eve) is the vigil of the feast — traditionally a day of fast and abstinence. Christmas Celebration – The St. Dominic’s Christmas party will be held 2 days after Christmas Day, on Sunday (Dec. 27th). There will be a potluck, cake, punch, and lots of beautiful, traditional Christmas carols. Our organist will be playing, and we have booklets with plenty of Christmas carol lyrics. It will be a blast. Don’t miss out! Catechism Break – There will be no Catechism Classes on December 27th. Classes will resume on Jan 3rd. A Look Ahead – On both Christmas Day and New Year’s Day (Feast of the Circumcision, a Holy Day of Obligation), Mass will be at 1:00 PM. God, who, at sundry times and in divers manners, spoke in times past to the fathers by the prophets, last of all, In these days hath spoken to us by his Son, whom he hath appointed heir of all things, by whom also he made the world. Who being the brightness of his glory, and the figure of his substance, and upholding all things by the word of his power, making purgation of sins, sitteth on the right hand of the majesty on high. Being made so much better than the angels, as he hath inherited a more excellent name than they. For to which of the angels hath he said at any time, Thou art my Son, today have I begotten thee? And again, I will be to him a Father, and he shall be to me a Son? And again, when he bringeth in the first begotten into the world, he saith: And let all the angels of God adore him. And to the angels indeed he saith: He that maketh his angels spirits, and his ministers a flame of fire. But to the Son: Thy throne, O God, is for ever and ever: a sceptre of justice is the sceptre of thy kingdom. Thou hast loved justice, and hated iniquity: therefore God, thy God, hath anointed thee with the oil of gladness above thy fellows. And: Thou in the beginning, O Lord, didst found the earth: and the works of thy hands are the heavens. They shall perish, but thou shalt continue: and they shall all grow old as a garment. And as a vesture shalt thou change them, and they shall be changed: but thou art the selfsame, and thy years shall not fail. In the beginning was the Word, and the Word was with God, and the Word was God. The same was in the beginning with God. All things were made by him: and without him was made nothing that was made. In him was life, and the life was the light of men. And the light shineth in darkness, and the darkness did not comprehend it. There was a man sent from God, whose name was John. This man came for a witness, to give testimony of the light, that all men might believe through him. He was not the light, but was to give testimony of the light. That was the true light, which enlighteneth every man that cometh into this world. He was in the world, and the world was made by him, and the world knew him not. He came unto his own, and his own received him not. But as many as received him, he gave them power to be made the sons of God, to them that believe in his name. Who are born, not of blood, nor of the will of the flesh, nor of the will of man, but of God. And the Word was made flesh, and dwelt among us, (and we saw his glory, the glory as it were of the only begotten of the Father,) full of grace and truth. This entry was posted in austin, bulletin, Catholic Churches, chapel, church, fr. Zendejas, houston, san antonio, San Antonio chapel, texas and tagged 1962 Calendar, 1962 Missal, Austin, bulletin, Catholic church, catholic churches, chapel, churches, festival, holy day, houston, hymns, independent chapel, latin mass, San Antonio, Seguin, sunday, texas, Traditional Latin Mass, tridentine mass, Vatican 2 Resistance on December 22, 2015 by sudoku-for-android. The city of San Antonio, Texas, named after the great St. Anthony of Padua, has traditionally had a large role to play in the Catholic church. Centrally located in south-central Texas and close to various independent sources of water, San Antonio has a long history of being a headquarters or focal point for Catholicism and the Church’s missionary work in Texas. May it regain this old status again someday! If Texas is ever to be converted to the Catholic Faith more completely, the layout of the missions will need to take a similar form – with San Antonio at the center. After all, San Antonio is quite centrally located. No wonder the Catholic Church chose this city for the focal point of Texas evangelization. You have Austin 1 hour to the north; Houston 3 1/2 hours to the east, Dallas 4 hours to the north, and many small and mid-size towns that can reach San Antonio within a 2 hour drive or less. Now that is a city ideally situated for Catholic Church missionary work. The Catholic Faith is never easy, but Our Lord’s yoke is light and sweet compared to any other yoke. Why resist Him who wants to give you eternal life? But resistance is natural for fallen human nature, which wants to be independent of God, hates any kind of self-denial, and is enticed to follow the Broad Path of Destruction by the world, the flesh, and the devil. The Old Spanish Missions of San Antonio, Texas are a chain of five colonial era compounds located in a southern line from the center of downtown San Antonio to the southern edge of the city. Each of the old compounds has a church, and is independent of the others. The Missions were built in San Antonio in the 18th Century as an extraordinary outpost of the Spanish Government and the Catholic Church. The San Antonio Missions are managed by the Catholic Church today. 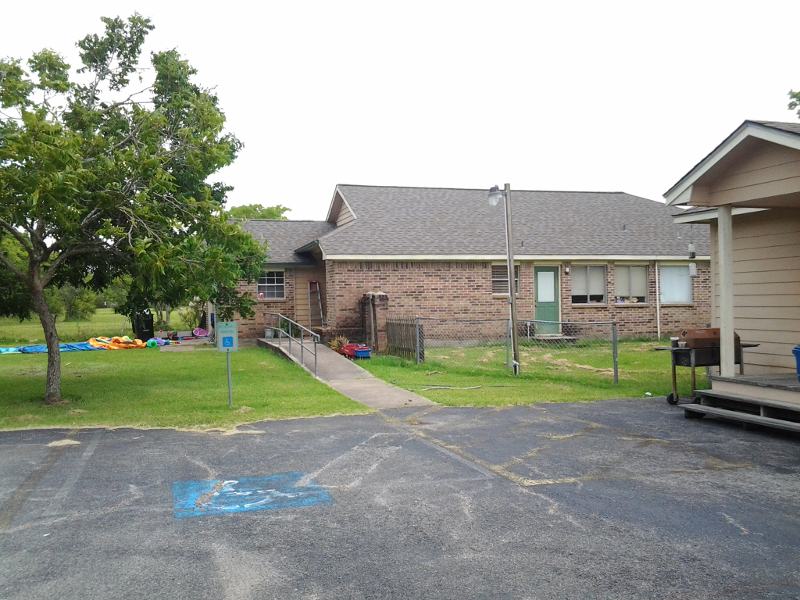 Specifically, they are run by the Roman Catholic Archdiocese of San Antonio as the Old Spanish Missions, Inc., an independent, non-profit organization which provides for their care and upkeep. Since they are still managed by the Catholic Church, the Archbishop of San Antonio, TX appoints the Director of the Old Spanish Missions. This Director is in turn responsible for the ongoing maintenance of the mission churches, as well as any restoration work that needs to be done. San Antonio de Valero, known as the Alamo, is owned by the State of Texas and up until recently was operated by the Daughters of the Republic of Texas. 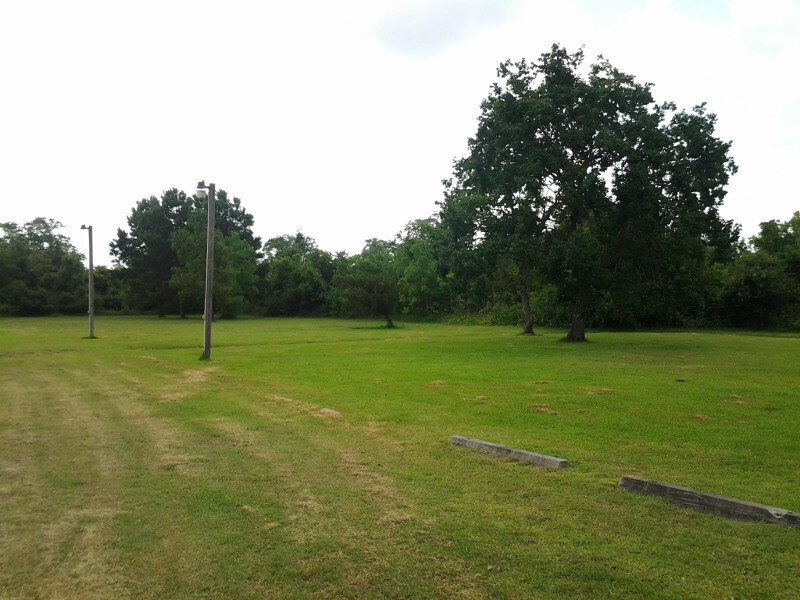 It does not function as an active parish church and does not form part of the Old Spanish Missions, Inc. 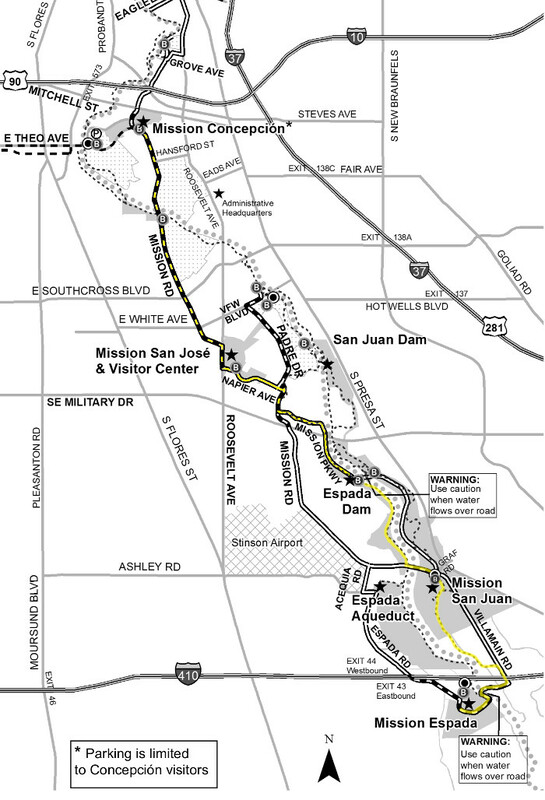 It operates independently of the other missions. So this most famous of the San Antonio Spanish Mission churches — this symbol of American resistance to anyone and anything who would take away our freedom — is nothing but a tourist attraction today. At present, the National Park Service is in charge of the San Antonio Missions National Historical Park, in cooperation with the Church, or the Archdiocese of San Antonio, Texas. The two organizations divide the responsibilities of running the Spanish Missions in the following manner: the Park Service is responsible for all the material elements of the four properties, including the buildings, landscaping, visitor centers, etc. The Archdiocese of San Antonio, on the other hand, continues to care for the church buildings in each Mission. The two domains of responsibility are independent of one another. In 2015, about 20 parishioners from St. Dominic’s attended the yearly San Antonio Mission Pilgrimage organized every year by a group of Traditional Catholics. Everyone was glad they came (some from as far away as Austin, Dallas, Columbus, and Bandera), and got a good look at our Catholic history in this area. Quite a large group of devout Catholics took form! Many traditional hymns were sung, many sacrifices were offered up, and many Rosaries were prayed and sung. San Antonio, ora pro nobis! Santo Domingo, ora pro nobis! This entry was posted in San Antonio chapel and tagged Catholic church, church, churches, historic, history, independent chapel, latin mass, mission, missions, pilgrimage, San Antonio, Spanish, texas on July 25, 2015 by sudoku-for-android. Quite a few Catholics traveled to Houston, Texas from San Antonio — and much further away — to be there for this extraordinary occasion. We would have even had some from Austin, but they had car problems. 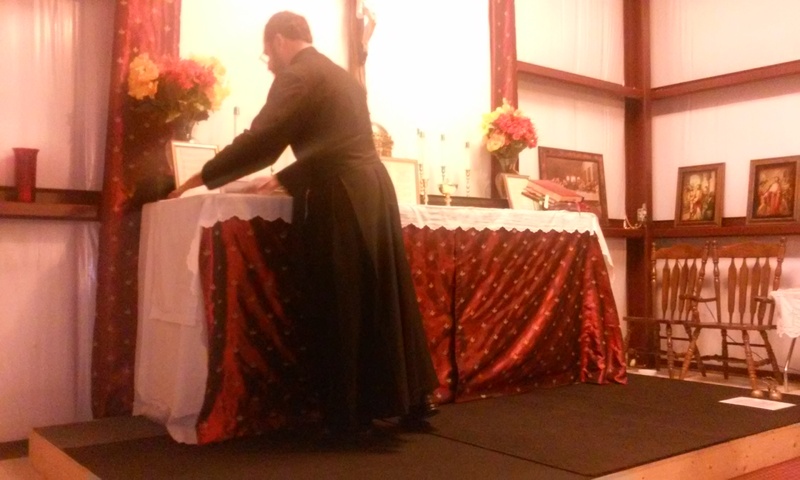 There are now TWO permanent locations in Texas for the Traditional Latin Mass being served by this small group of priests alone: San Antonio, TX and Houston, TX. (Of course, the San Antonio location is close enough for Austin residents as well.) Both locations use the 1962 Missal, which is completely traditional, and free from all the 1960’s changes inflicted by the Second Vatican Council. We must never cease our resistance to Vatican 2, which caused so much damage to the Catholic Church and to souls! 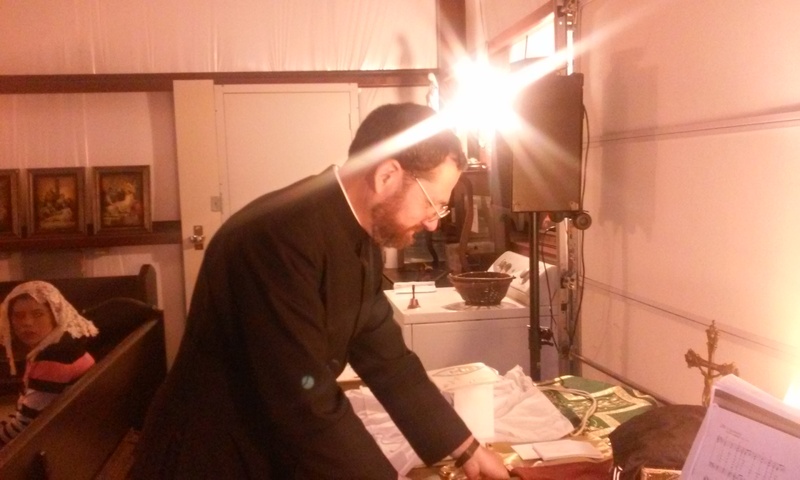 This entry was posted in bishop williamson, blessing, chapel, church, confirmations, fr. 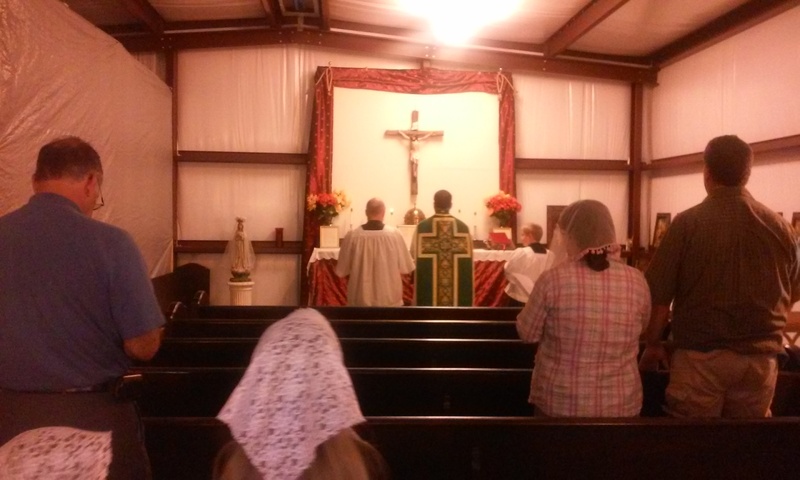 Zendejas, houston, priory, san antonio, San Antonio chapel, stella maris, texas and tagged bishop williamson, chapel, church, churches, confirmations, houston, independent chapel, latin mass, San Antonio, sung Mass, texas, Traditional Latin Mass, tridentine mass, Vatican 2 Resistance on July 9, 2015 by sudoku-for-android. Congratulations to Traditional Catholics in Houston, Texas! And the Catholic Church in general will benefit by this new outpost of Catholic Tradition. Talk about building up the Church, even as the Conciliar Church sells off churches, schools, and other properties to pay for unmentionable and shameful lawsuits! Fr. 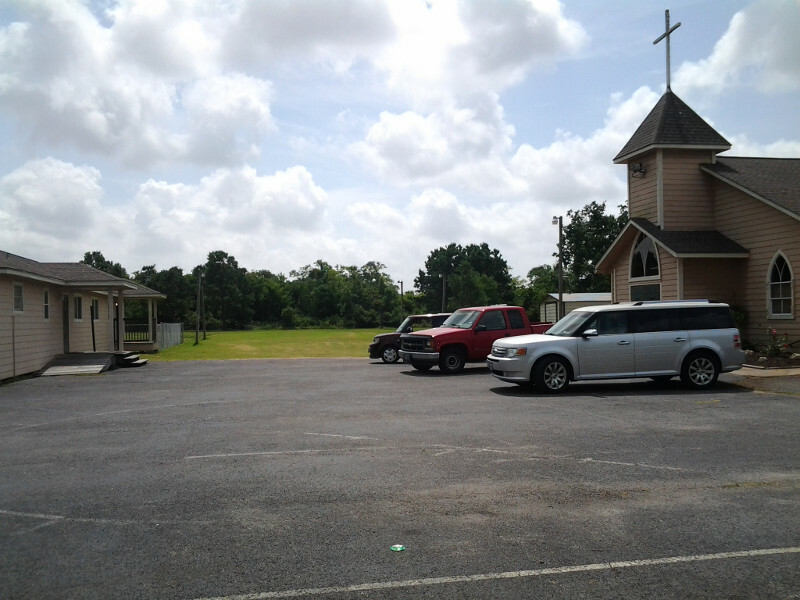 Zendejas recently purchased a church property south of Houston (in La Marque, TX) which includes a chapel or church, school, and rectory. Christened “Stella Maris Chapel” (star of the sea in Latin, one of the titles of Our Lady), the chapel was blessed by Bishop Williamson on July 6, 2015. He and Fr. Adrian Garcia will be saying Mass there on a weekly if not a daily basis. This extraordinary news is important for the Catholic Church, but especially for all Traditional Catholics who attend traditional churches throughout Texas, since we now have another bulwark of the Faith so close by in Houston. It will certainly benefit St. Dominic’s and other traditional churches, especially in the San Antonio and Austin areas, in the long run. It isn’t every day that a new “priory” or chapel/rectory/school complex is added to the world of Catholic Tradition. Deo Gratias! This entry was posted in San Antonio chapel and tagged 1962 Missal, Catholic church, chapel, church, churches, houston, improvements, independent chapel, latin mass, missions, texas, Traditional Latin Mass, tridentine mass, Vatican 2 Resistance on July 9, 2015 by sudoku-for-android.